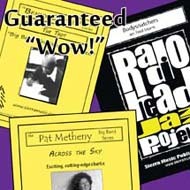 Festival 3-Chart Program - "Guaranteed 'Wow'"
With this festival program, your band will love you and your audiences will say "wow!" Not only are these charts incredibly fun to play, they are packed with intense writing and lots of raw emotion. Each chart will take you, your band, and your audiences through a roller coaster of great festival music!